Tasty: Markets are not only a place fo buying and selling but a also heaven for foodies. 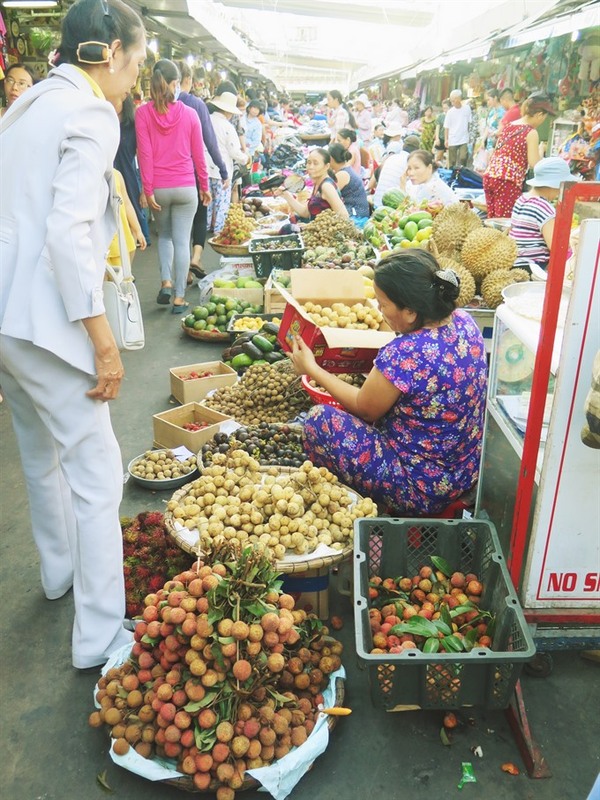 Like other traditional market, this is where you find a variety of fare – fresh fruit, dried seafood and clothes to name but a few. 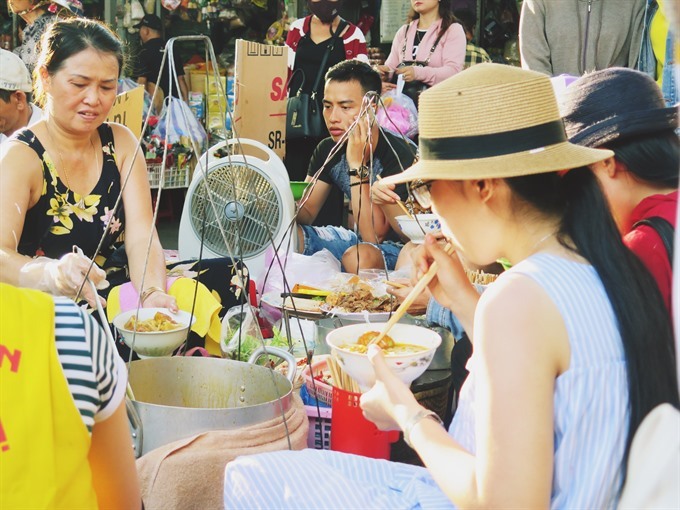 It is not merely a place for buyers and sellers but also a favourite spot of visitors who want to try a local dish and learn about lives of the locals. 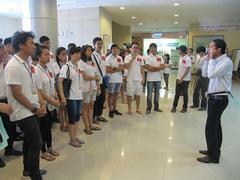 While Ha Noi is well-known for its Dong Xuan Market, HCM City with Ben Thanh, Da Nang is all about Con. Those old enough to remember will regale you with tales of how before the market came into existence, the area was an abandoned sand dune with wild cactus and beefwood trees. 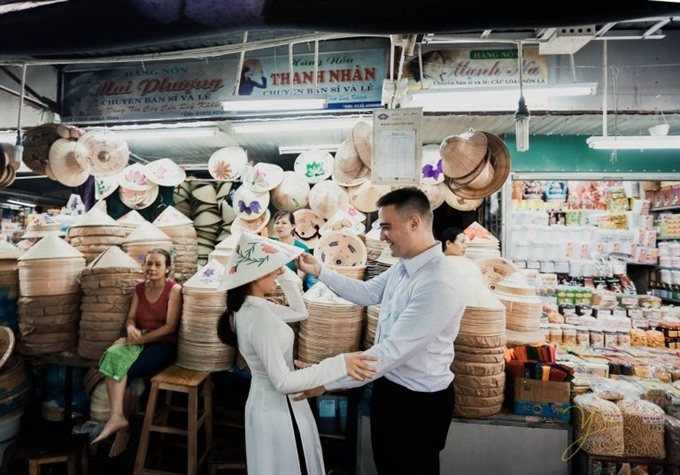 Van Hoa (Culture) Book Store, Xuong cafe house, Ong Ty’s banh mi shop, Quansh Hung Sweet Shop or Thai Ngu’s pho shop were all the familiar and nostalgic names for Da Nang people. 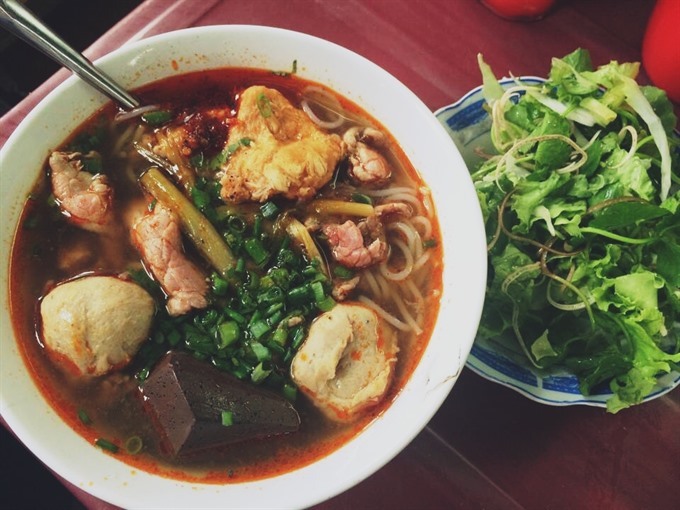 Nowadays, it’s the place where one can try almost all delicacies of Da Nang and other regions at affordable prices – bun thit nuong (noodle with grilled pork), bun mam (fresh rice noodle served in broth with shrimps and herbs), my quang (Quang Nam-based rice noodle), snails, banh xeo (sizzling crepe with shrimp and pork filling), banh can (little round pancake made of rice flour, eggs and shrimp and served with dipping sauce and herbs), goi kho bo (salad with dried beef). Each dish ranges from VND15,000 to 50,000. Like Con Market, Dong Ba is a symbolic market of the neighbouring Hue, the land of royal citadels. It first opened 120 years ago, stretching from the iconic Trang Tien to Gia Hoi bridge covering more than 47,000 square metres. The market was maintained and upgraded in 1987 and that same look is how visitors will see it today. 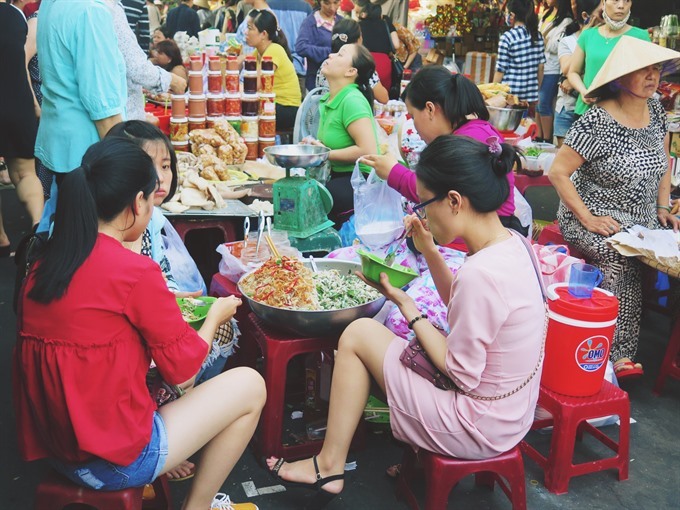 With more than 2,500 booths and nine blocks of houses surrounding it, the market is the biggest in the Thua Thien-Hue Province. This place seems to offer something for everyone. There’s an area for vegans with affordable dishes and a place for those with a sweet tooths. Local women also come here for some of the best spices around. If one comes to visit the market on the first day or the fifteenth day of lunar month, they would be in awe by the flower corners and aromas of incense for worshipping. Visitors can also find local specialties to bring back home as souvenirs, including dried lotus seed and sweets. Dong Ba also has some of best food of Hue including com hen (rice with mussel), banh bot loc (steamed dumplings made of manioc flour with shrimp and pork filling), bun bo Hue (noodle soup of Hue style), banh ram it (glutinous rice pancake) or the so-called che (a dessert with various toppings of banana, lotus seed, green bean, or ginger). 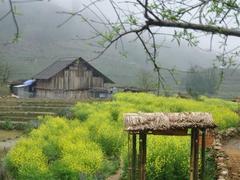 Visitors can get some conical hats from the craft village Phu Cam, steel and iron farming tools from Hien Luong blacksmith village, items of Ke Mon blacksmith village, pottery products from Phuong Tich or mats made of bamboo from Bau La Village. The booths selling fermented shrimp and shredded pork are also worth a visit. The most colourful corner of this market is where locals sell vegetables – different types of fresh herbs, bamboo shoot, gourds and figs. Hue is synonymous with conical hats and ao dai (traditional long dress) and Dong Ba is the best place to buy them. 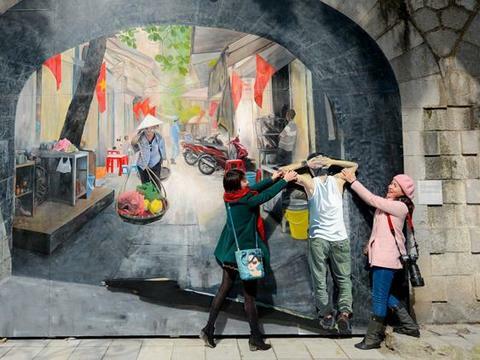 Put on your ao dai, wearing a conical hat and get out your mobile phone as there are selfie spots aplenty in Hue. 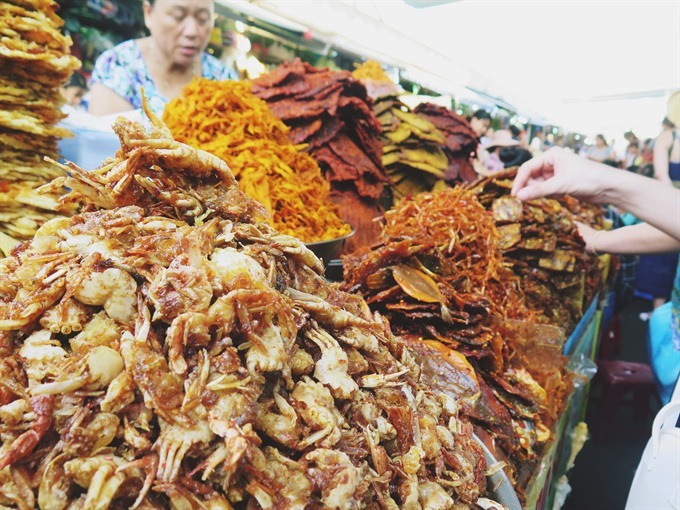 Something fishy: Dried fish, crab, squid are specialties of Da Nang City that one can find in Con market. 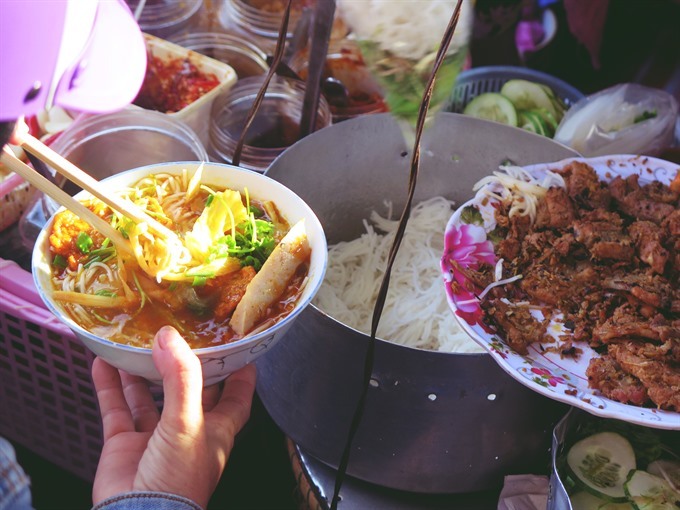 Street life: Street food dining is a culture in Da Nang and Con market is a heaven for foodie. Feeling fruity: Various types of fresh fruits are available in Con market.